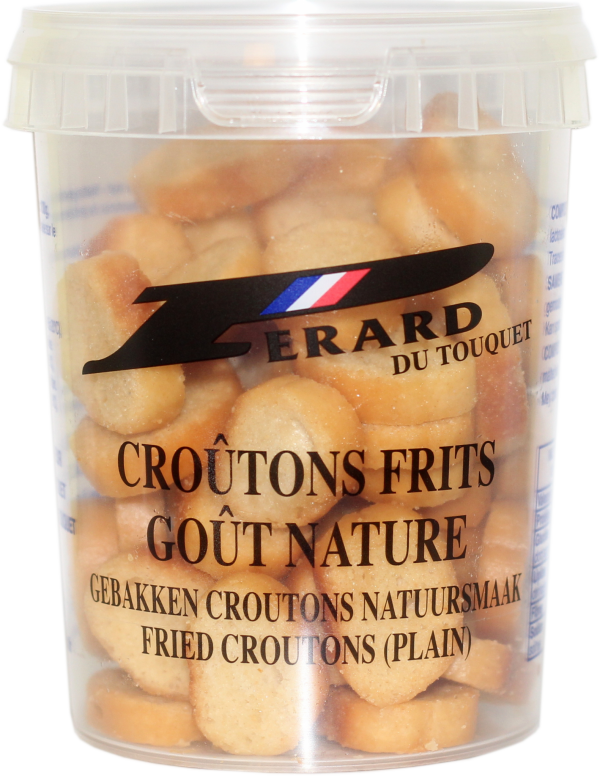 Lightly fried bread croutons to enjoy with our range of Perard fish soups. If you have time rub a fresh clove of garlic against the croutons for a little extra flavour. Simply add to your fish soup. Storage: Store in a cupboard. Dietary Information: Contains gluten and wheat. Wheat flour, sunflower oil, whey powder, flour of malted wheat, salt, yeast, gluten of wheat.